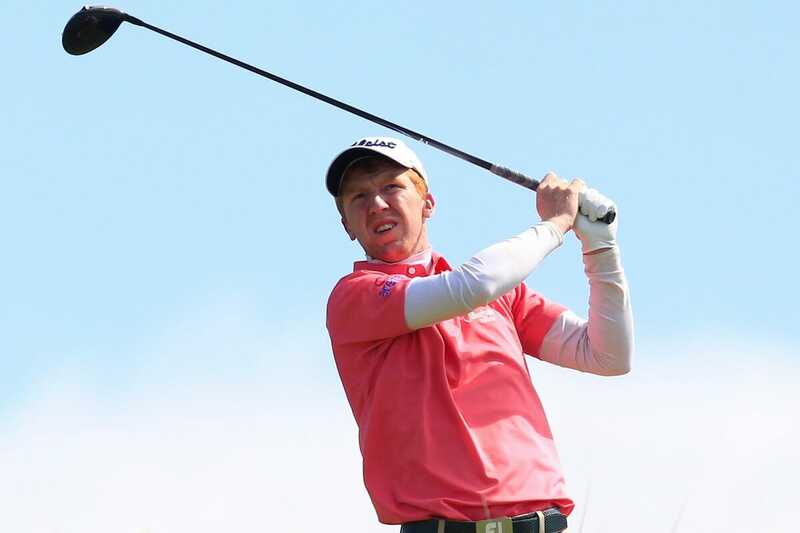 Gavin Moynihan has made the most of his late season trip to China, moving up 23 places in the Road to Oman rankings after a solo sixth place finish at the Hainan Open. The man from The Island Golf Club in Dublin might’ve been a long way from home, but he showed no ill-effects in carding a second successive 69 to finish five shots behind tournament winner Erik van Rooyen on 13 under par. A birdie four at the 2nd eased the Dubliner into his round and a lull of pars was soon forgotten after a terrific eagle at the par-5 6th. He would’ve been a little frustrated to let one slip at the 9th, but making the turn in 34 strokes was nothing to be sniffed at. A bounce back birdie three at 10 had the wheels in motion once more and he followed it up with another at 15 as a good week looked like becoming a great one. However, that’s as good as he managed and Gavin will no doubt be spewing over a sloppy bogey 6 at the last, a very gettable par-5 that he eagled the day before. Still, it’s another step in the right direction as Moynihan moves closer to claiming some sort of status on the European Tour next year. One man who won’t have such worries is Erik van Rooyen who secured his European Tour card for 2018 by claiming a maiden European Challenge Tour victory at the Hainan Open. The South African began the week on the cusp of a European Tour card as he sat in tenth place in the Road to Oman Rankings, but after scooping a first-place pay cheque of €47,539 he is assured of a place on Europe’s top tier next season. Starting the day with a two-shot lead van Rooyen knew that he would be in for a tough final day as he had Challenge Tour Number One Tapio Pulkkanen hot on his heels in second place. The pair locked horns last month at the Kazakhstan Open where van Rooyen led by one going into the final round – but Pulkkanen went on to lift the title on that occasion after winning in a play-off. Today was all about van Rooyen though, who battled the wind and the rain on Hainan Island to post a gritty one under par score of 71 and claim a two-shot win. With his European Tour status guaranteed for next season, the 27 year old cannot wait to play alongside his close friends Dylan Frittelli and Julian Suri – both former Challenge Tour players who have won on the European Tour this season. “I am super stoked and it has always been a dream of mine to play on the European Tour,” he said. “To have that dream become a reality after today feels amazing. “I have played a couple of European Tour events and you just really want to be there as you really want to play against the best out there. “Dylan did the same last year and Julian – what an amazing guy and a great player – also won on the Challenge Tour and the European Tour this season. It makes you want to get there as, without sounding arrogant, you know that you are as good as them so you just want to be there with them. “I woke up with a two-shot lead but after Tapio made birdie at the first and I made bogey it was gone, so you just have to stop and reset as there are 17 holes of a good battle remaining – which we had. “The whole day was tough in the conditions but I guess from 15 onwards I knew I was close. I had a two-shot lead and I wanted to maintain that so birdieing 17 was huge as it meant that I was three ahead as I teed up on the par five 18th. “That eliminated the situation of anyone catching me and I just thought to myself ‘three good shots and I am on the green and making par and they can’t touch you’. With victory in China van Rooyen moves up to fourth place in the Road to Oman Rankings while Finland’s Pulkkanen, who finished tied second, is now 41,000 points ahead in the race for top spot. Scotland’s Grant Forrest, who started the week as first reserve before making it into the tournament at the 11th hour, recorded the best result of his career by also claiming a share of second.